Cairo: As Arab leaders are gathering in Tunisia for their annual summit, one of the key issues is going to be Iran, according to observers. Iran’s destabilising interference in the Arab world is a major problem as the region is struggling with several devastating conflicts. An Arab quartet this week voiced “grave concern” over Iranian moves in the region. The quartet comprises Saudi Arabia, the UAE, Bahrain and Egypt. The committee, which met on Friday in the capital Tunis, accused Iran of “stoking creed and sectarian” tensions in Arab countries. Iran’s proxies are seen as being active in Syria, Iraq, Lebanon, Yemen and Bahrain. Addressing an Arab ministerial meeting in Tunis, Saudi Foreign Minister Ebrahim Al Assaf was sharply critical of meddlesome Iran. “The most dangerous form of terrorism and extremism is Iran’s flagrant interference in our Arab affairs,” the top Saudi diplomat said during a televised meeting. “There should be Arab cooperation to confront them,” he added. The Saudi call has apparently struck a cord in the Arab world. 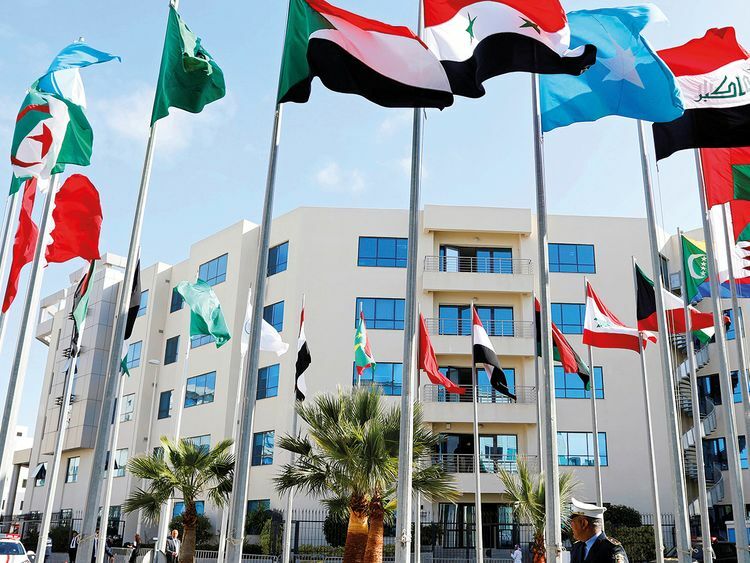 According to a draft final statement of the Tunisia summit, the Arab leaders will condemn Iran’s interferences in the region and its support for terrorist groups. Tehran’s sponsorship of proxies is seen as providing fuel to regional unrest, hampering efforts to resolve the region’s conflicts. “Look at any crisis in the Arab world and you’ll find that Iranian hands are there,” said Egyptian political expert Salah Al Hadi. “From Syria, Iraq and Yemen, Iran is present through its agents. Yemen may be the clearest example of this involvement,” Al Hadi told Gulf News. Yemen’s conflict erupted in late 2014 after Iran-aligned militant Al Houthis overran the capital Sana’a and toppled the internationally recognised government. In March 2015, an Arab alliance led by the UAE and Saudi Arabia, intervened in Yemen in response to a request from the government there after Al Houthis advanced on the southern city of Aden, the country’s provisional capital. The war has pushed Yemen to the brink of starvation and spawned the world’s worst humanitarian crisis, according to the UN. “Iran looks determined to impose its hegemony on the region, even if this comes at the expense of Arab blood and resources,” Al Hadi said. “Both the UAE and Saudi Arabia have more than once announced their backing for a peaceful settlement to the Yemeni crisis. However, all peace efforts have foundered due to Al Houthis’ intransigence and [the actions of] their Iranian sponsors. Therefore, the Tunisia summit should come up with a tougher stance against Iran that exceeds condemnations,” he said. “Already feeling the bite of renewed US sanctions, Iran would further suffer if Arab countries reduced, or even stopped, economic dealings with it,” he suggested.